I’m a perfectionist by nature. As a child, I naturally excelled at most things I did. As an adult, I learned this was primarily because I was deathly terrified. It’s natural for us to want to succeed – but why is it that we are so terrified to fail? I’ve had to learn the world doesn’t end when I fail. And in fact, to expect myself to excel at everything I do is entirely unrealistic. I’ve had to learn there is a process to everything, and to be patient with myself in the process. The fear of failing can be so great that I never actually start – unless I can be sure I have all my ducks in a row. So perhaps this whole wellness lifestyle thing feels daunting or overwhelming to you. Or maybe this is applicable to an entirely different area of your life. No one expects a kindergartener to do complex algebra. There are years of learning & studying math, with exercises & lots of practice & lots of mistakes – and even then, the child needs a good teacher. 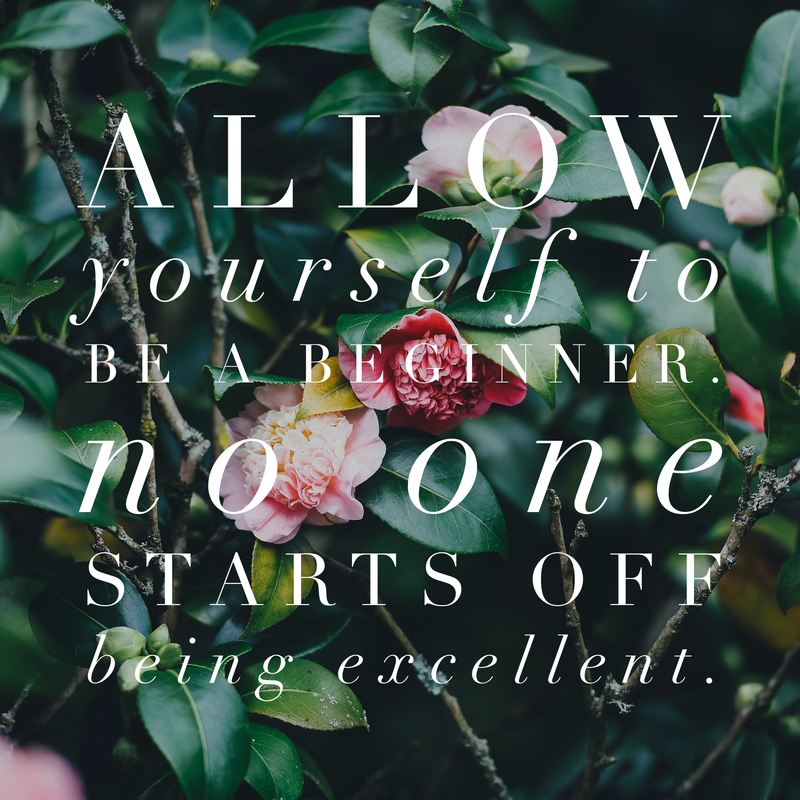 If you are just getting started on your wellness journey, put yourself in that spot. Have grace and patience for yourself as you learn. (I hope I can be a good teacher!) Give yourself realistic expectations. Though it may feel like you’re settling, you’ll find you achieve and accomplish more when you take some of that pressure off! Here’s my advice to you from the heart: Take a deep breath, and just start.